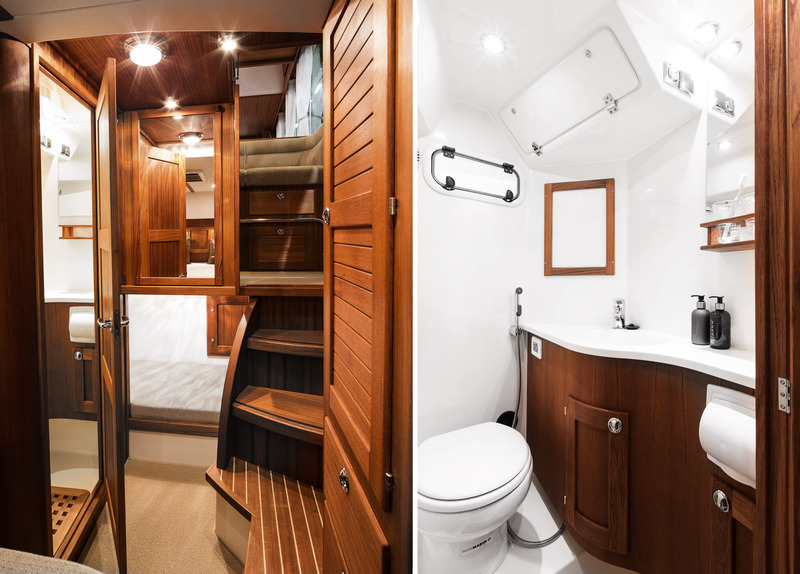 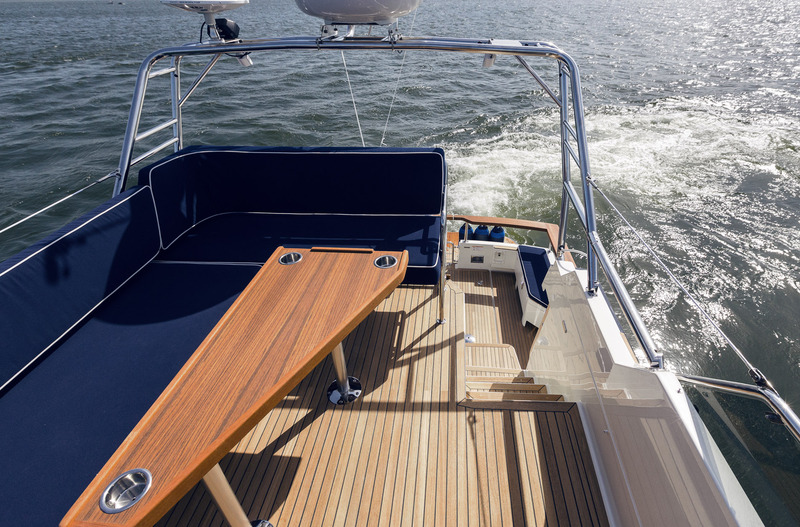 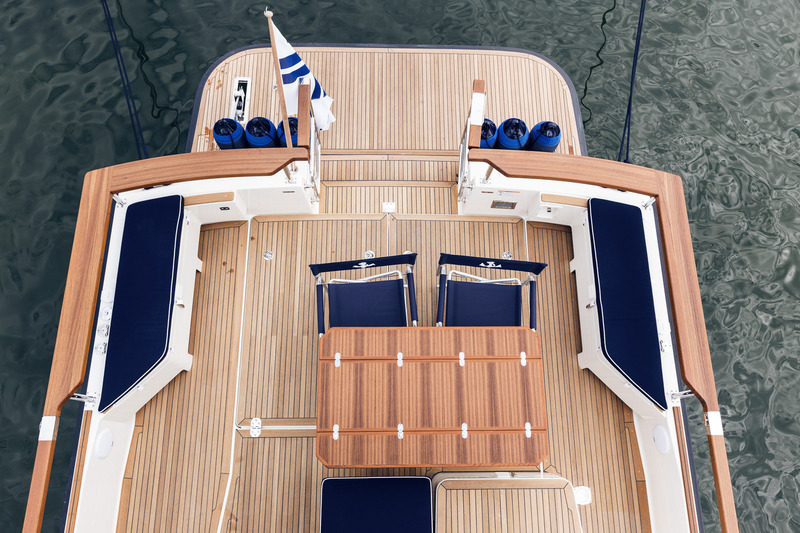 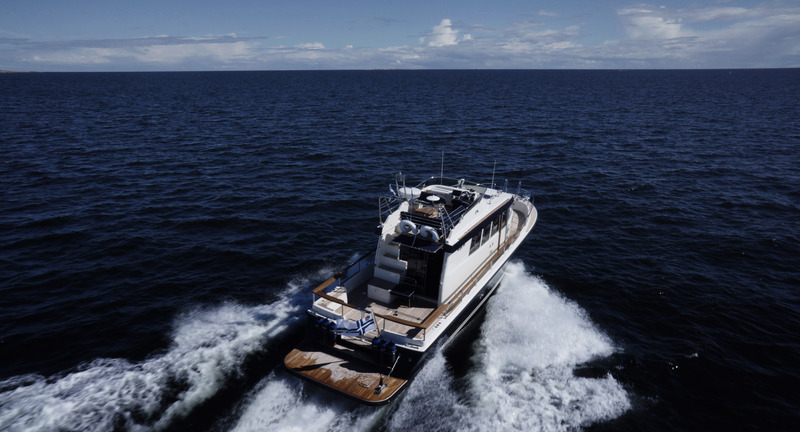 The Targa 44 features the classic Targa design, with ample room both inside and out, as well as outstanding performance in all conditions. 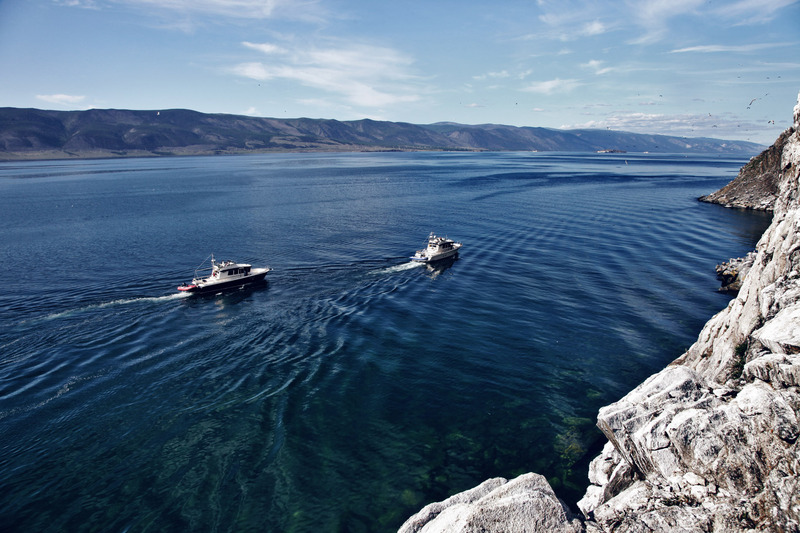 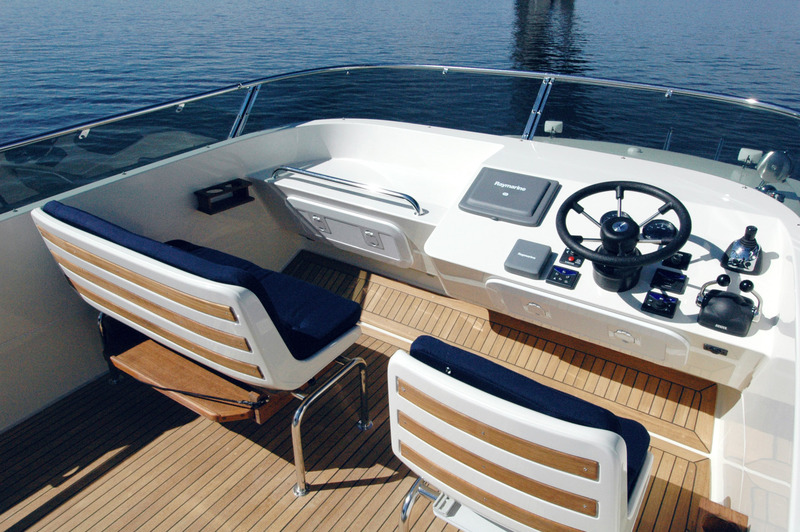 Crafted in the renowned Targa spirit, the Targa 42/44 takes you to your destination with complete peace of mind. 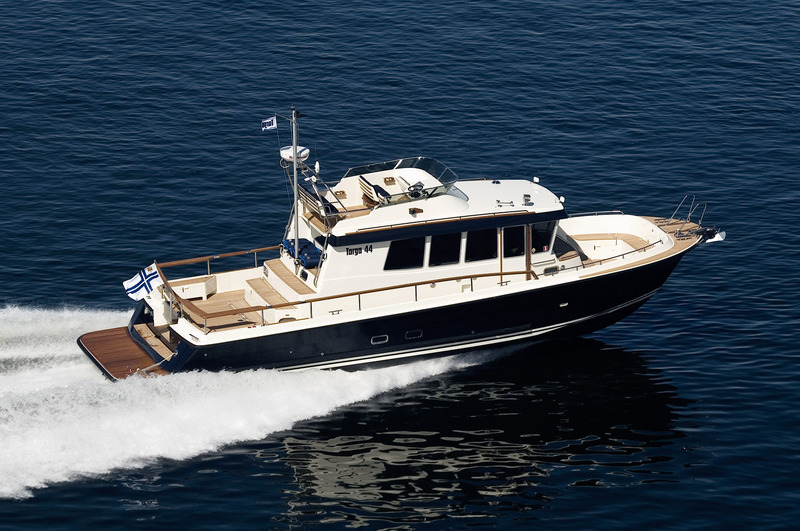 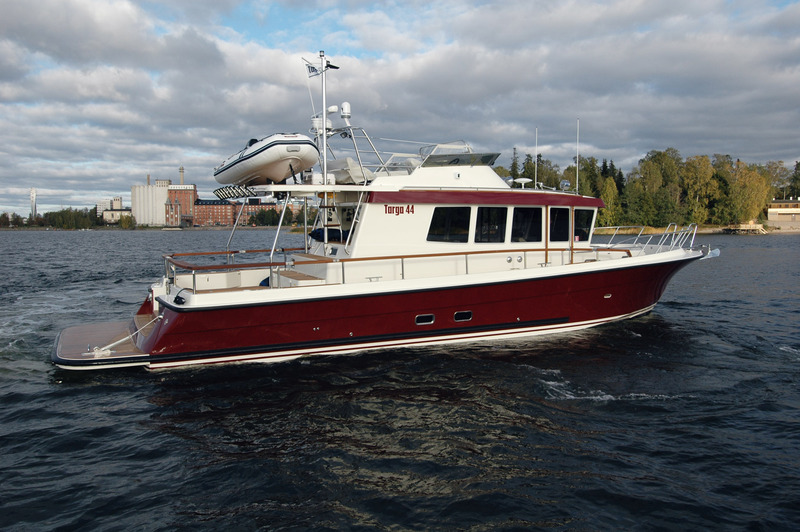 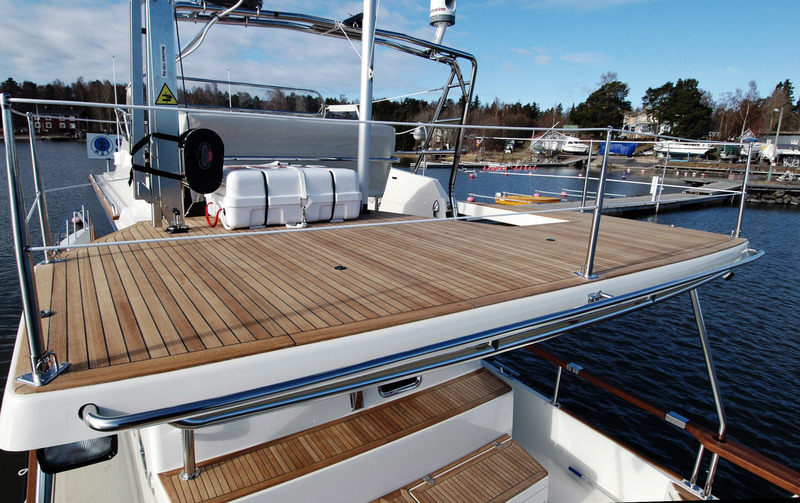 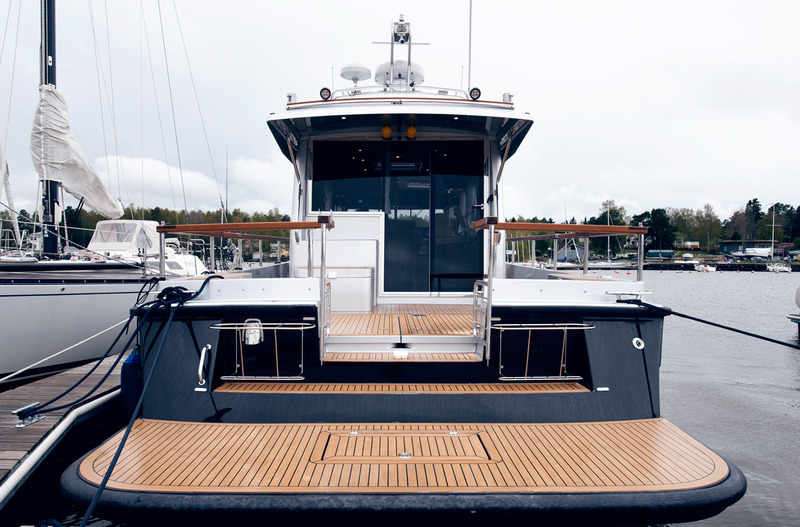 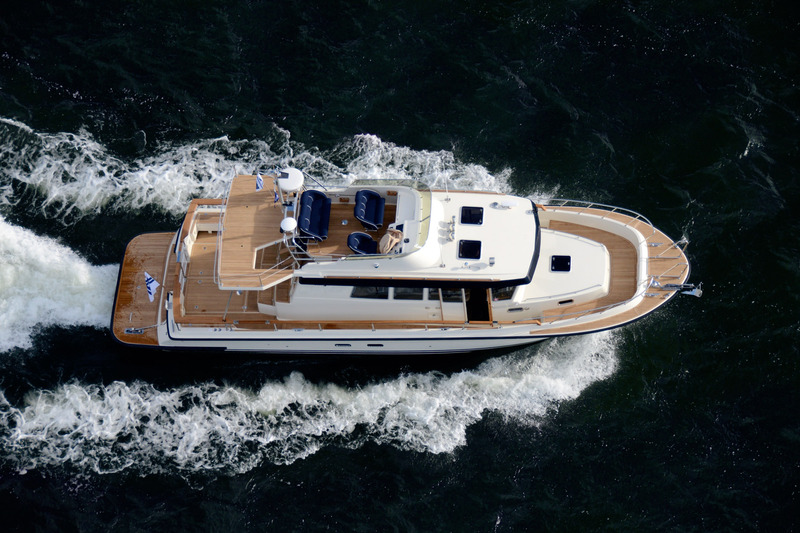 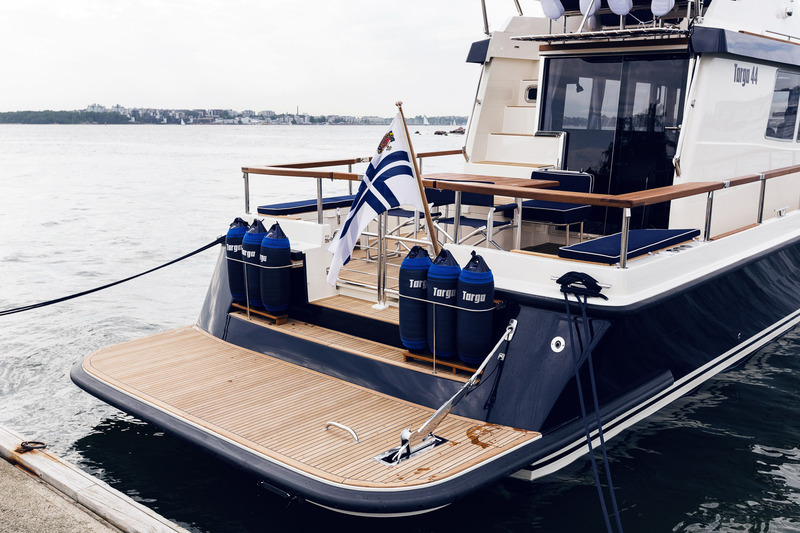 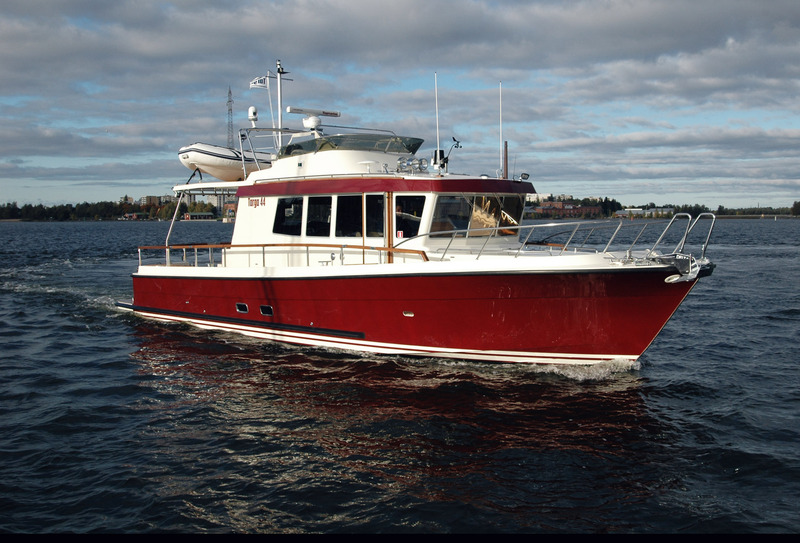 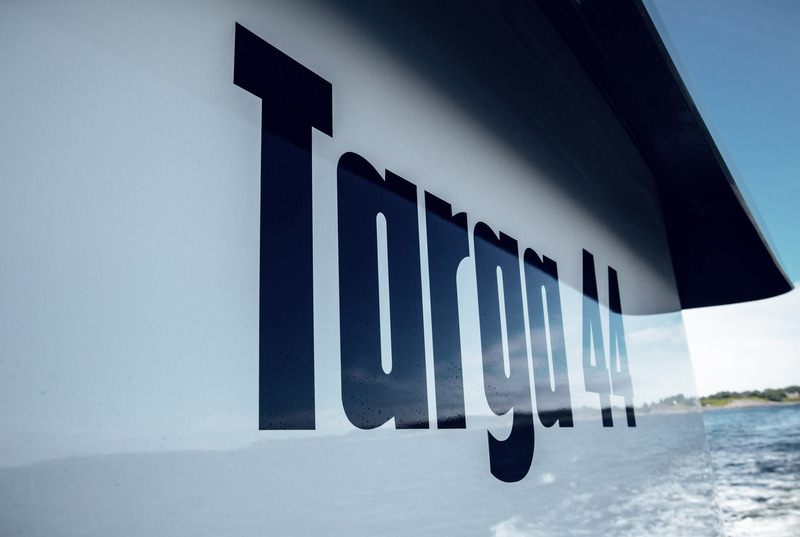 Launched at the Scandinavian Boat Show in Stockholm in 2005, the Targa 42 won the Motorboat of the Show award. 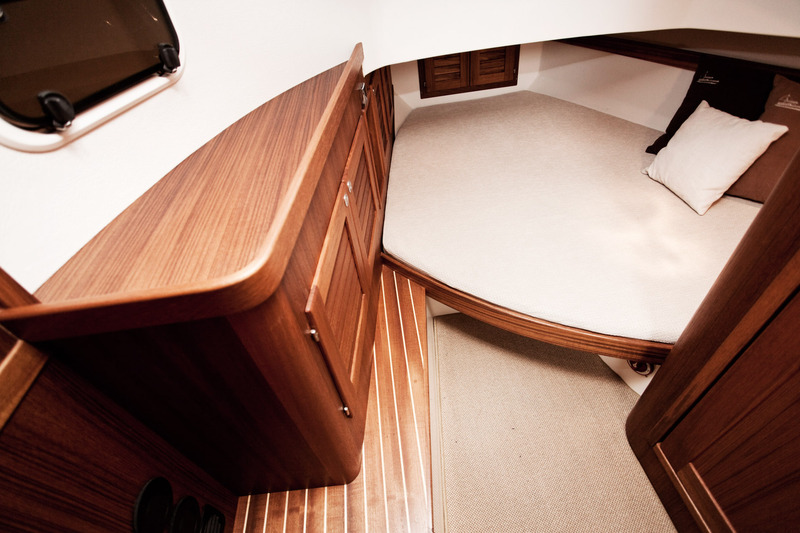 With its practical and comfortable features, it is not hard to see why. 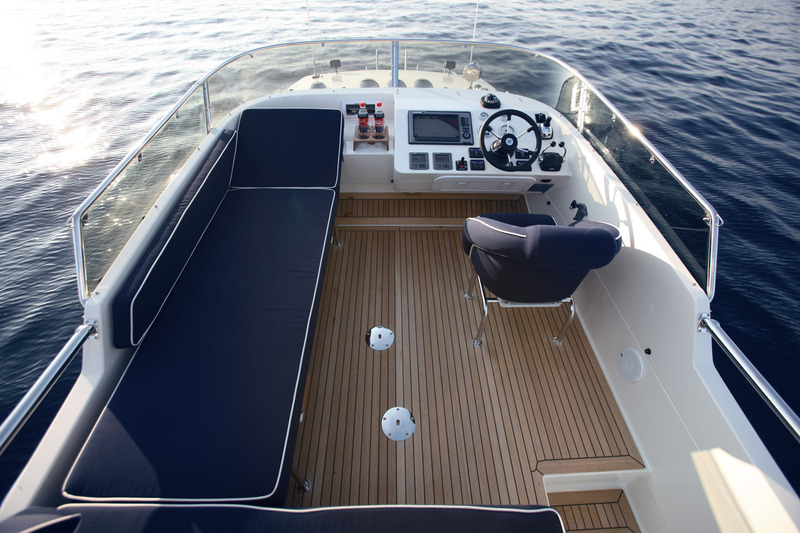 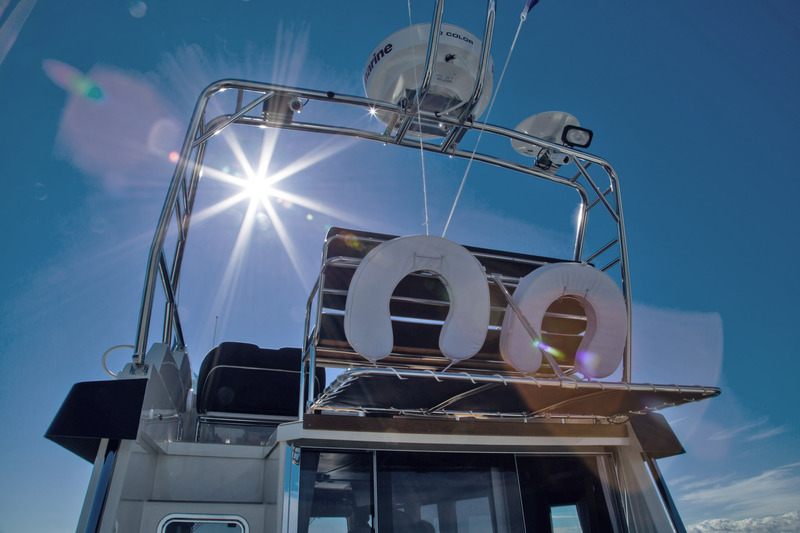 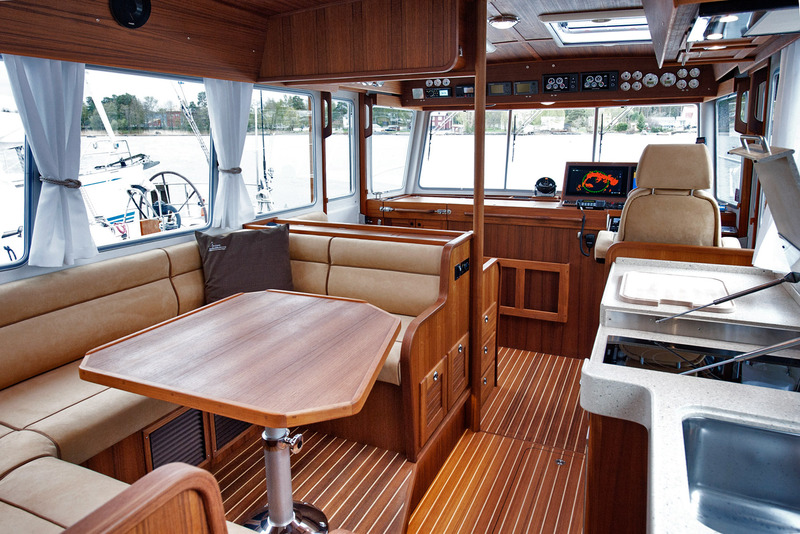 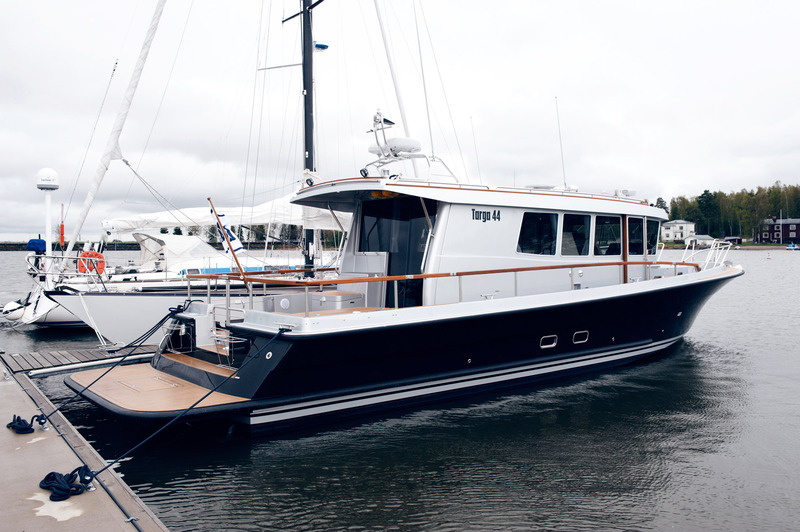 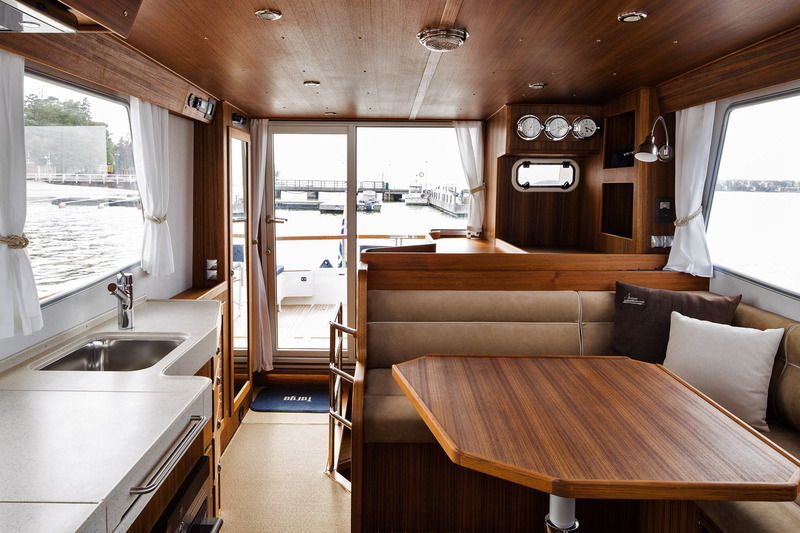 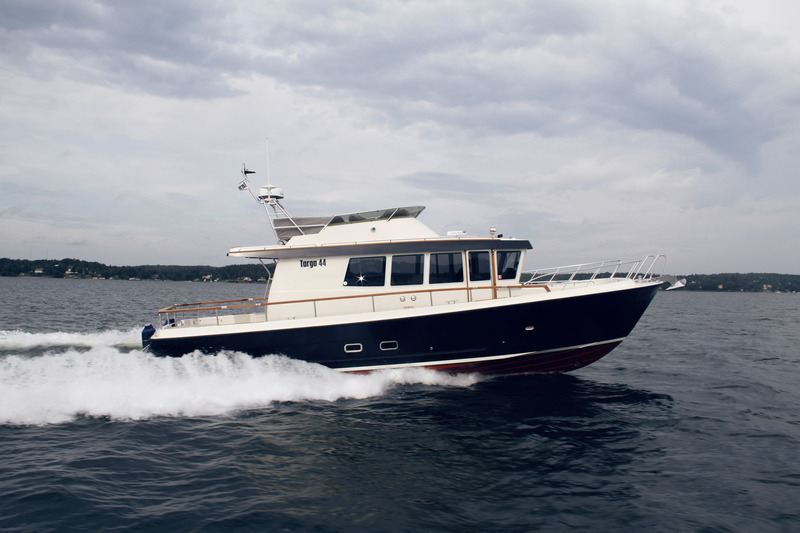 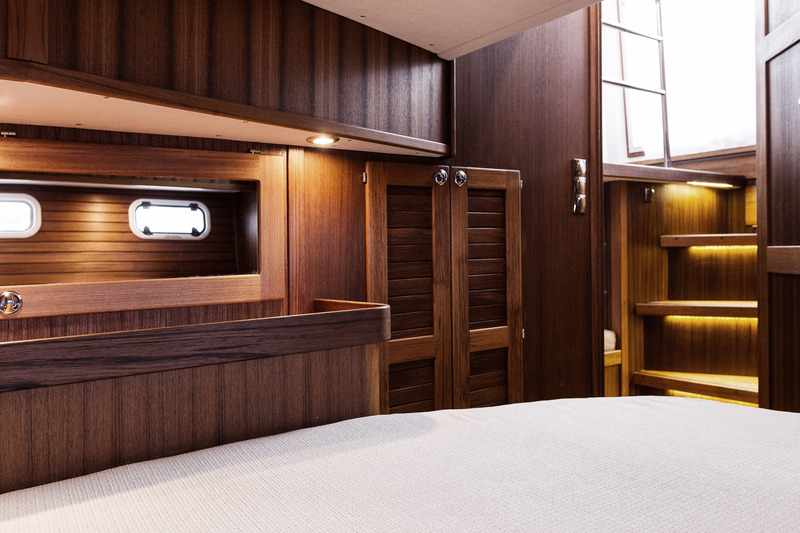 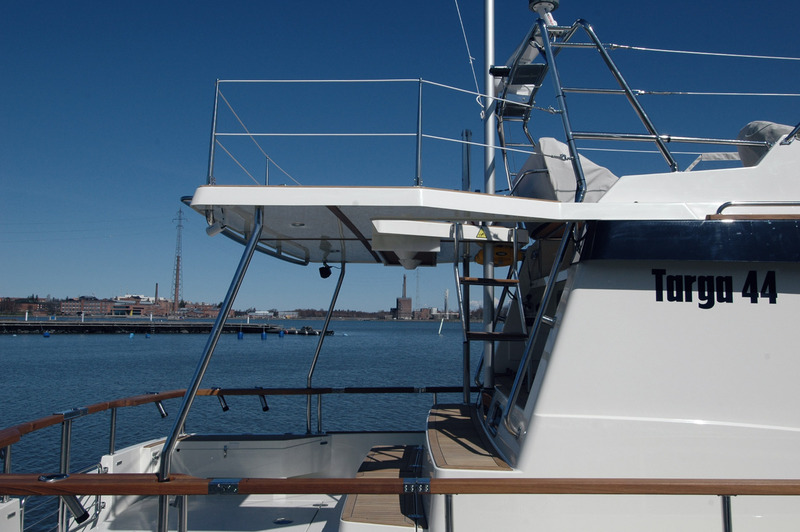 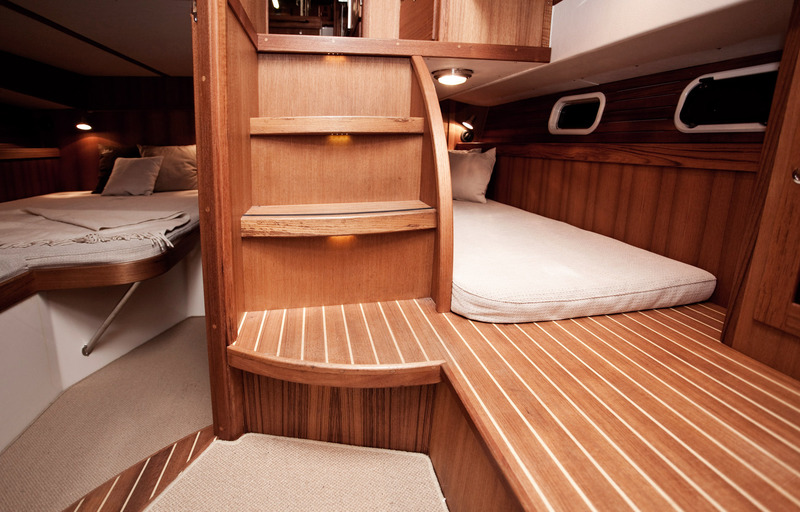 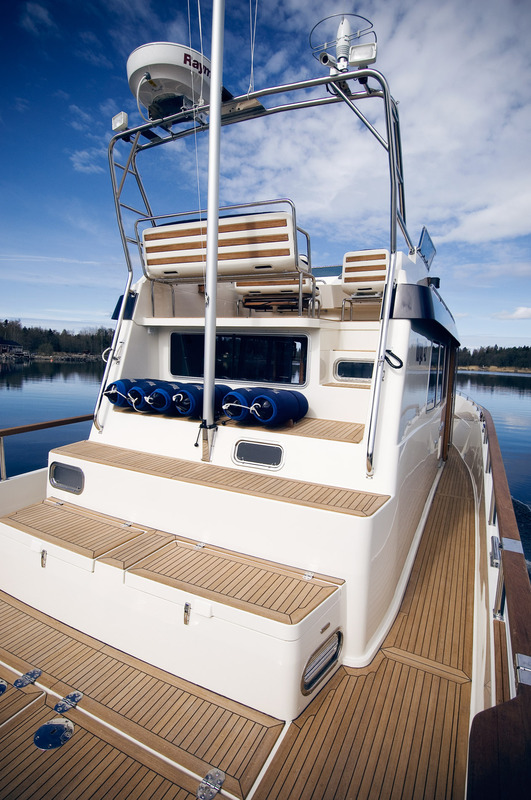 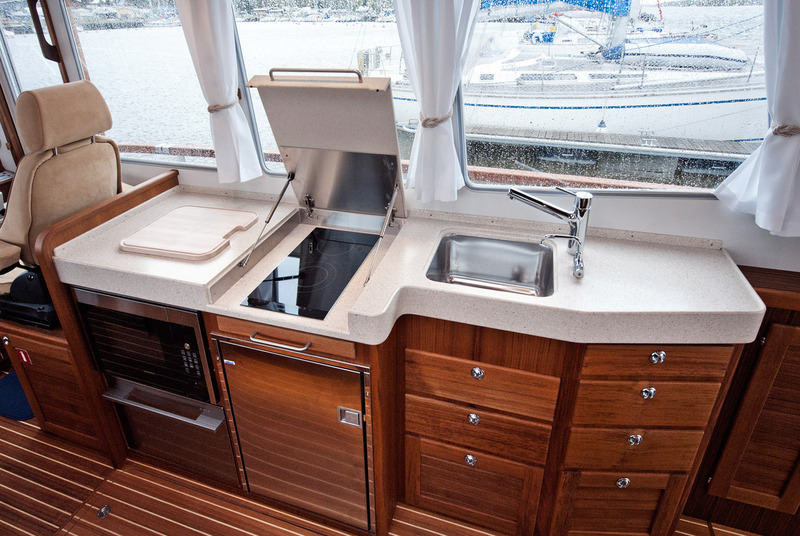 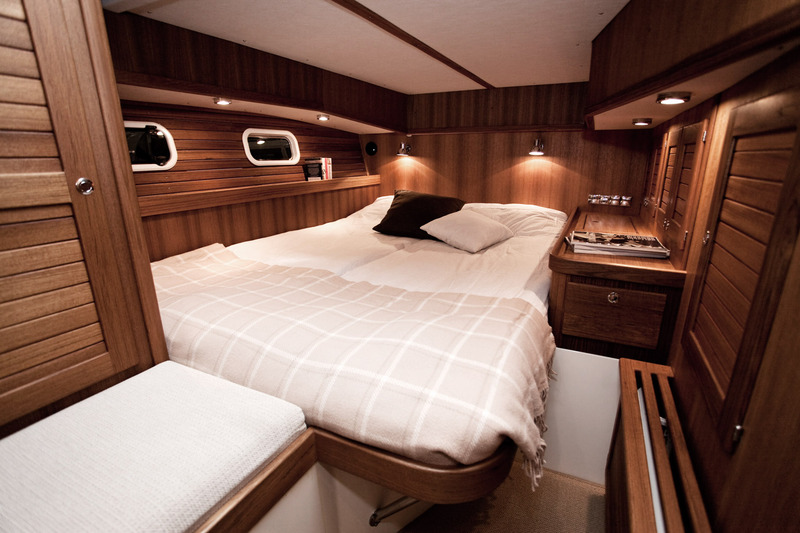 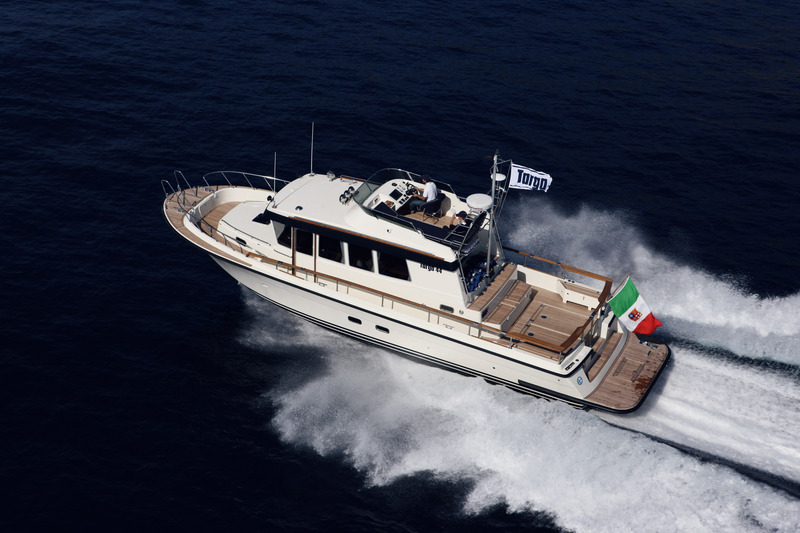 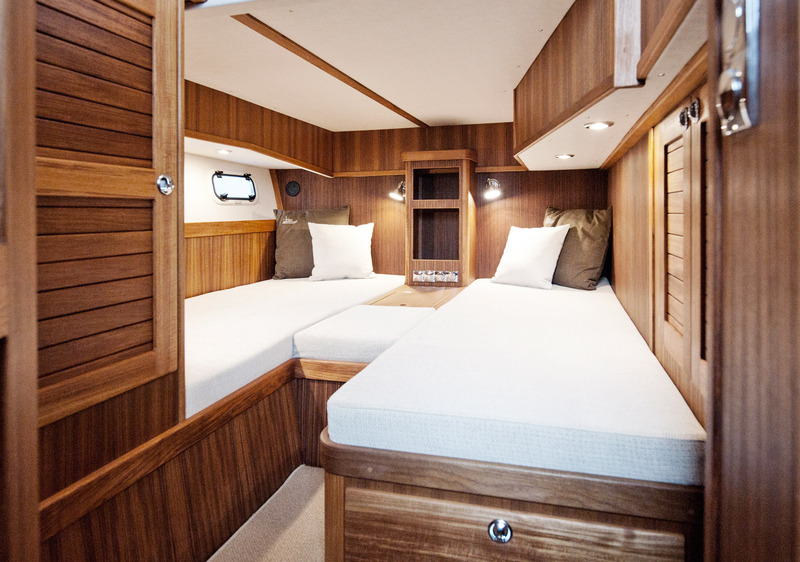 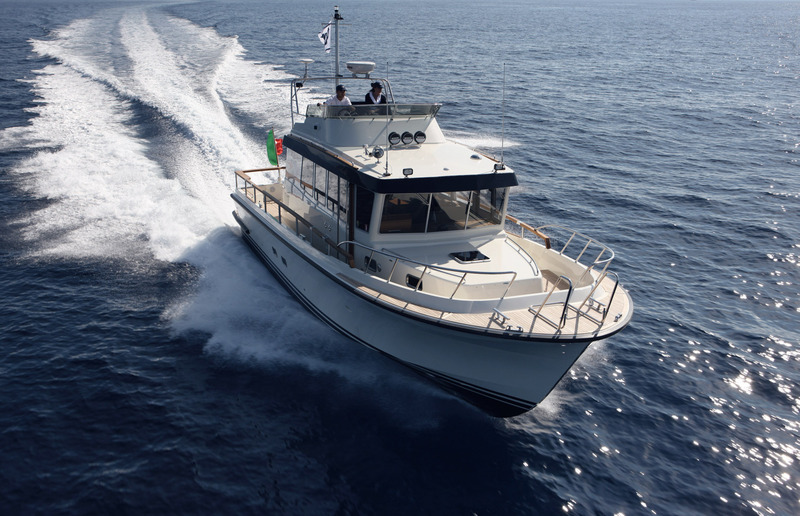 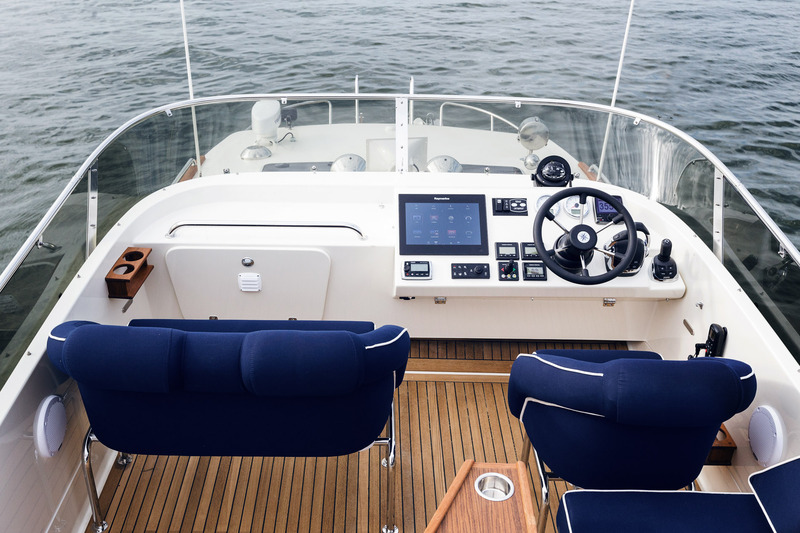 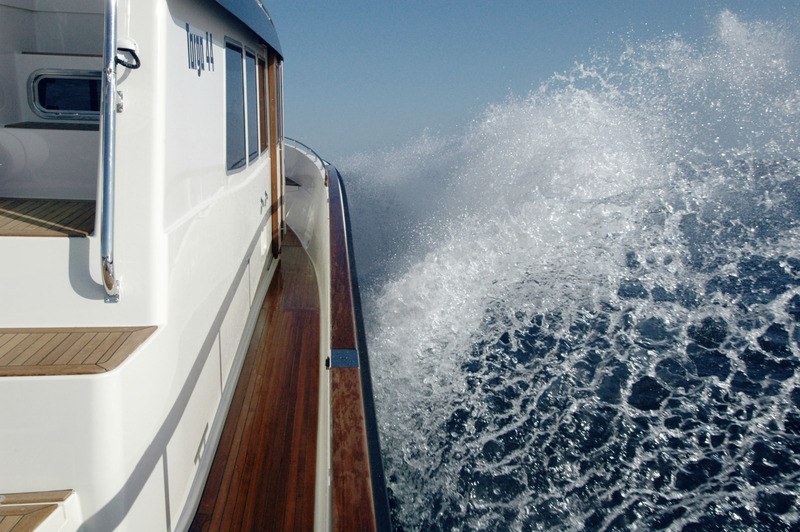 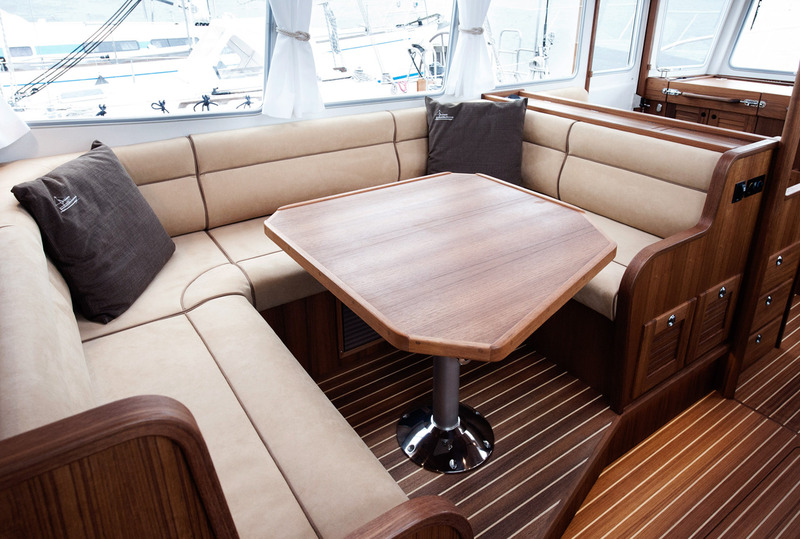 "The Targa 42 is the result of an original idea that has become a complete boat range. 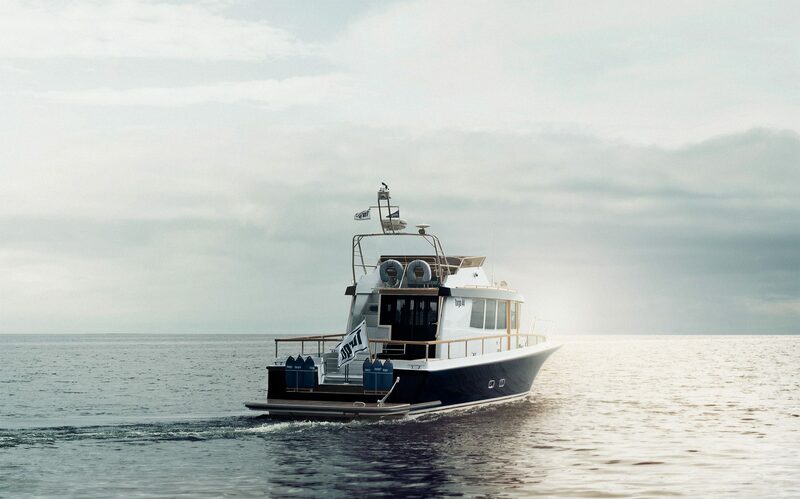 Many have copied the concept but few come even close. 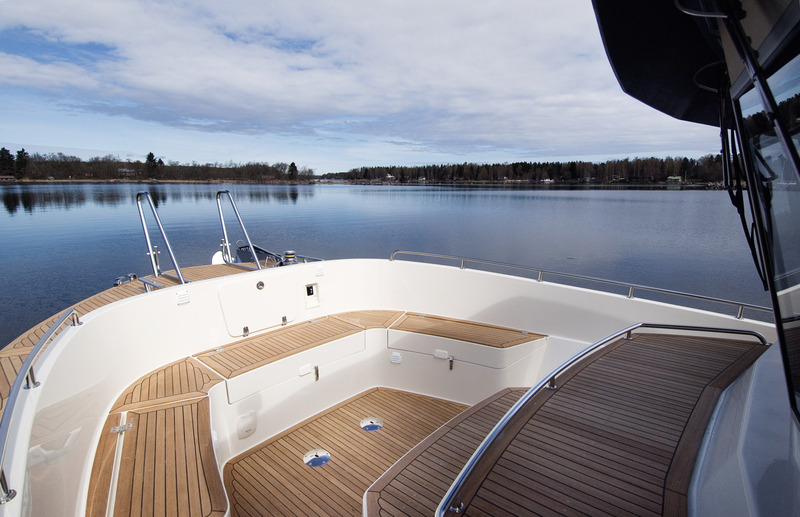 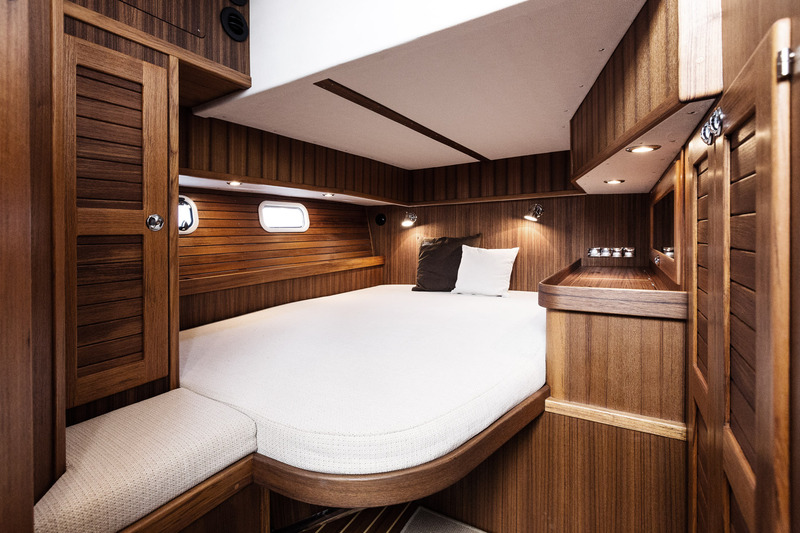 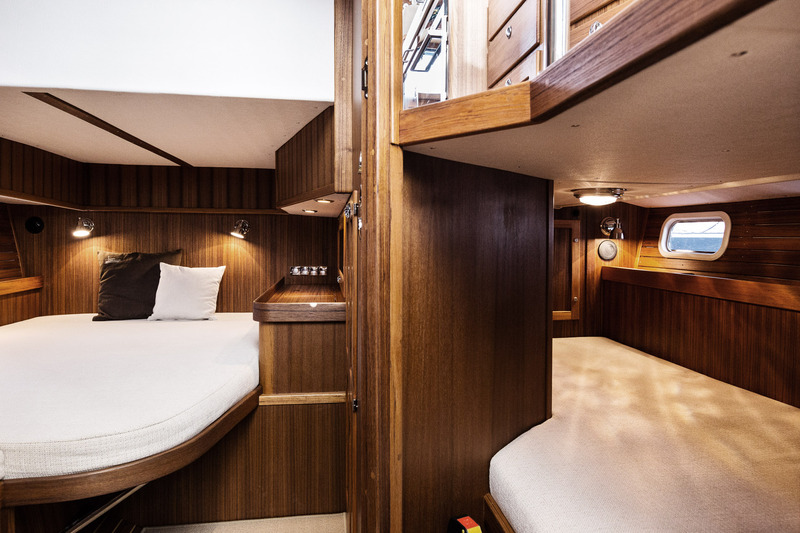 With the Targa 42, Botnia Marin has got a real flagship that is comfortable as well as practical - suitable among icebergs and in burning sun." 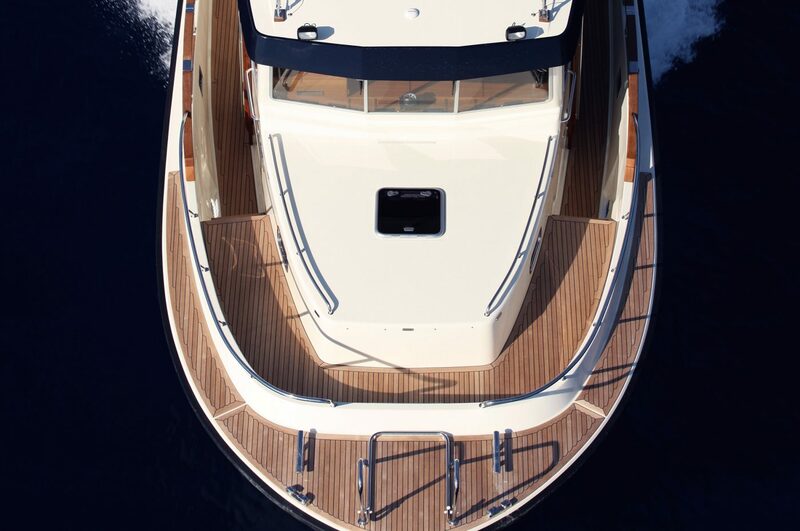 the prestigious Motorboat of the Year Award. 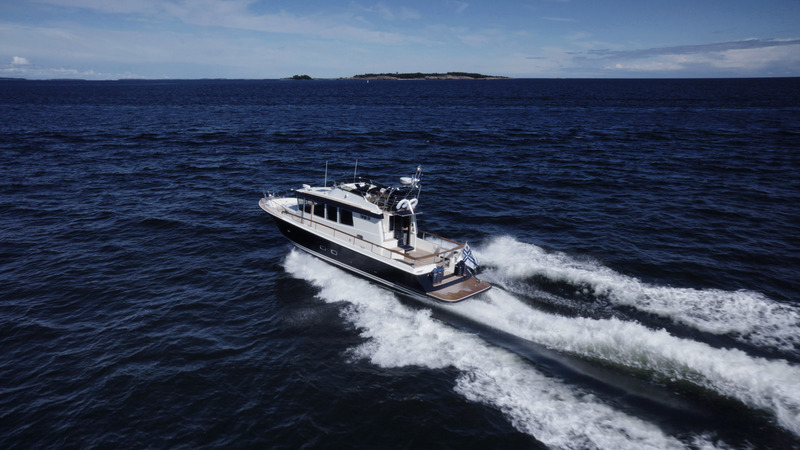 "If ever a boat deserved its billing as the "4x4 of the sea" then this is it. 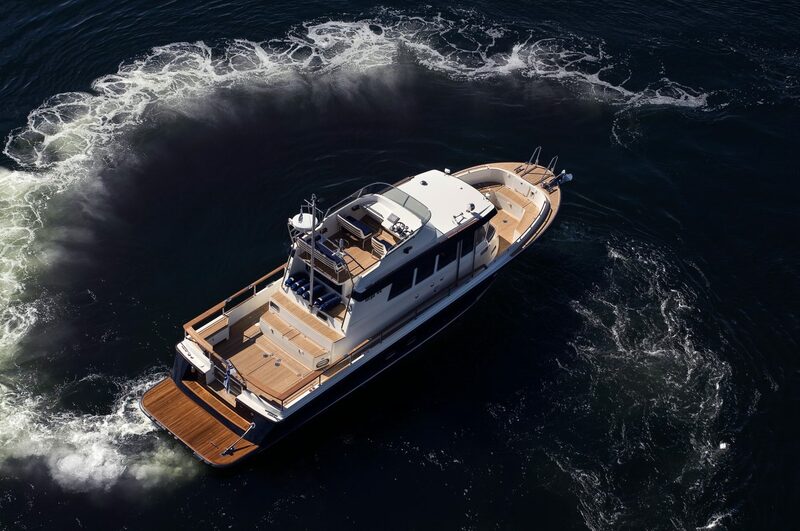 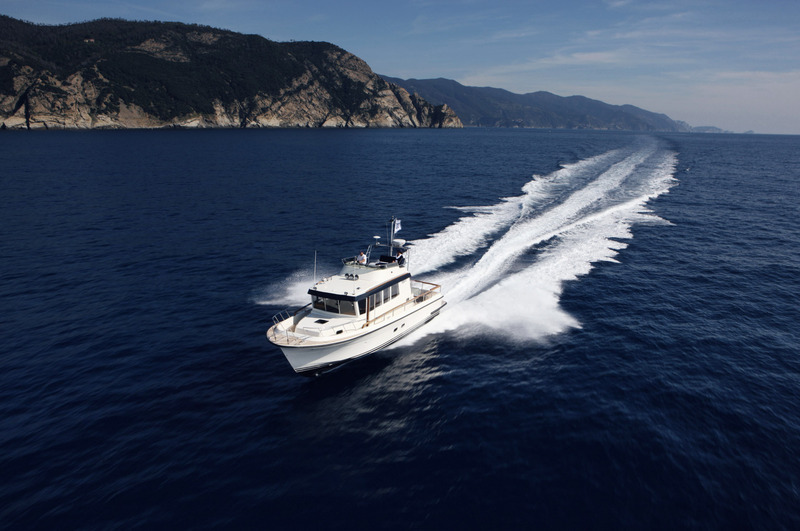 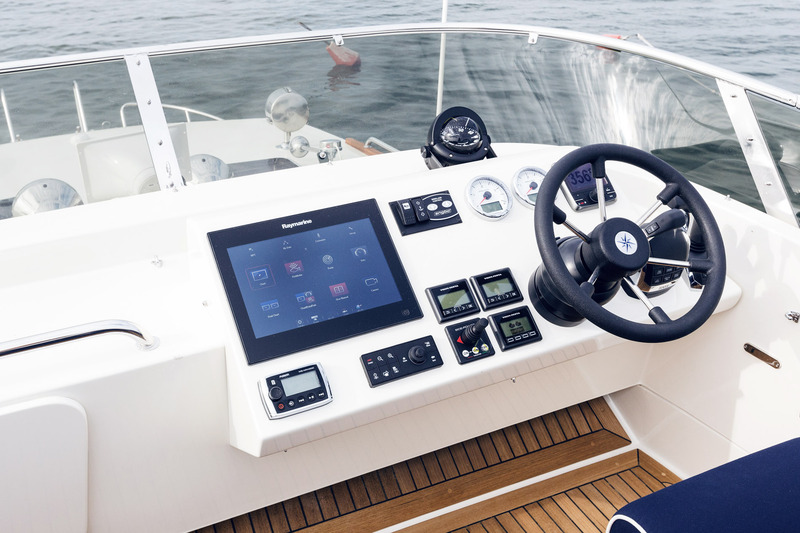 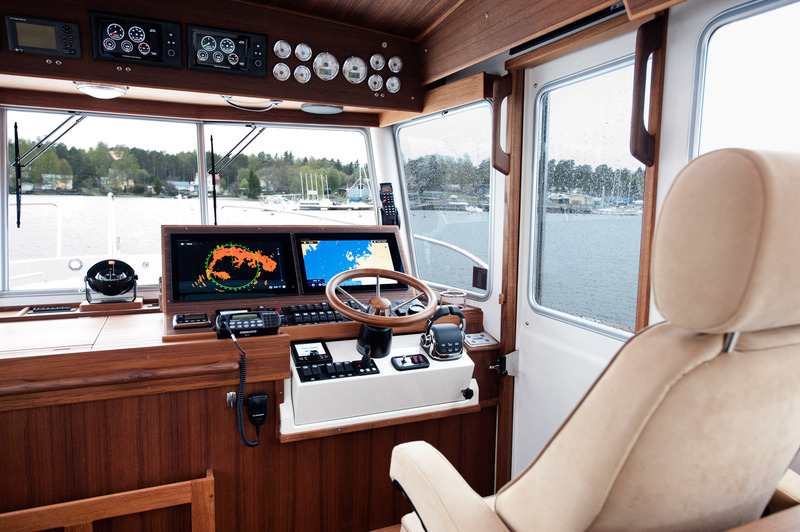 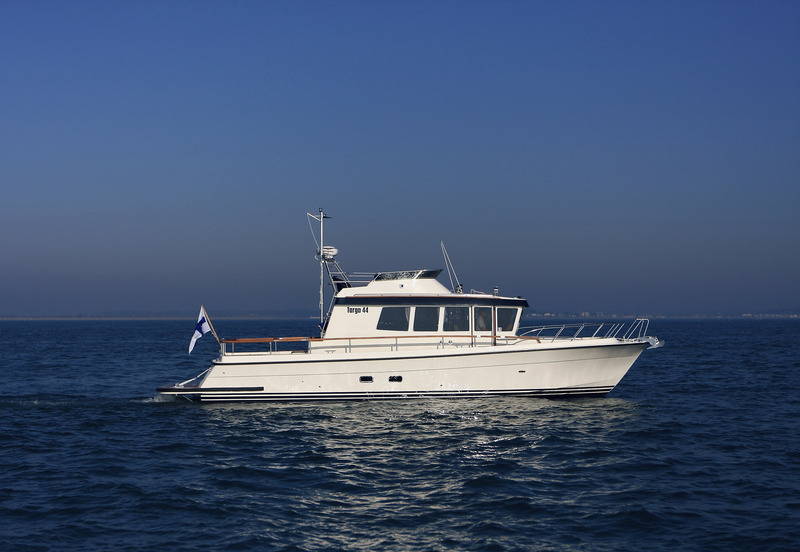 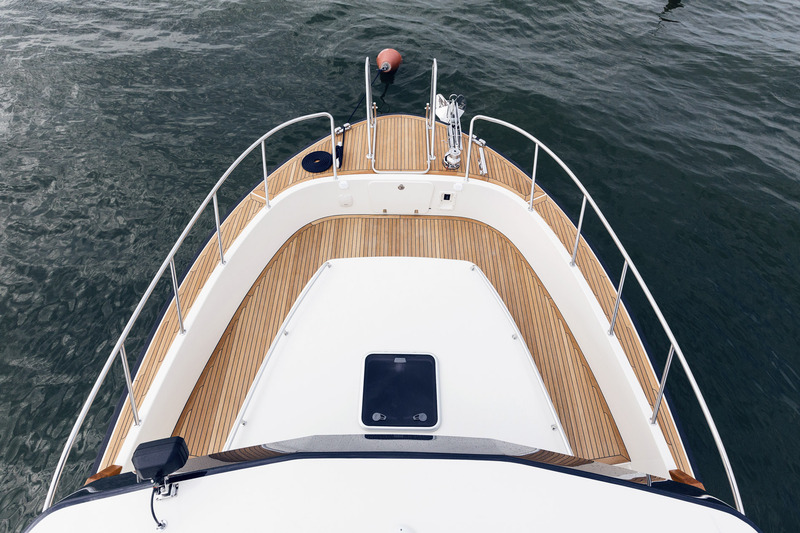 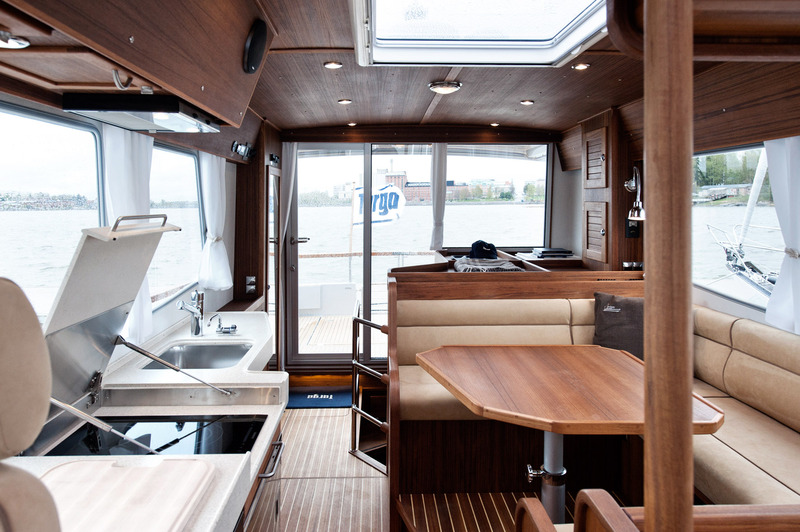 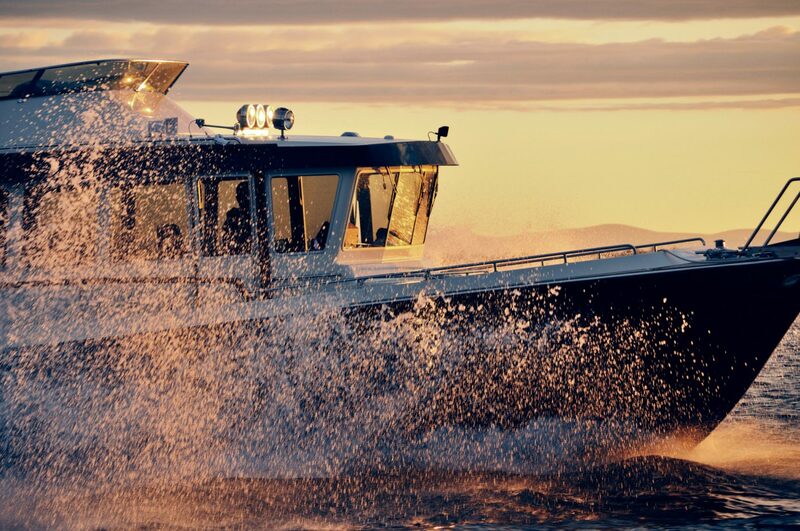 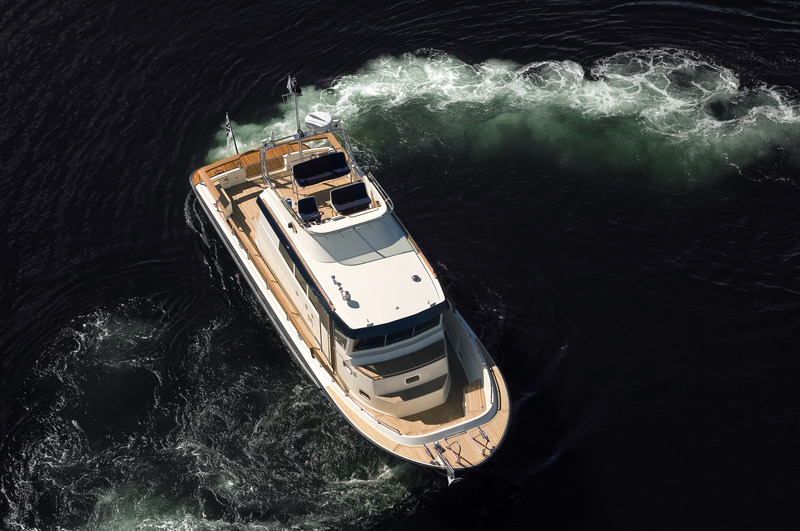 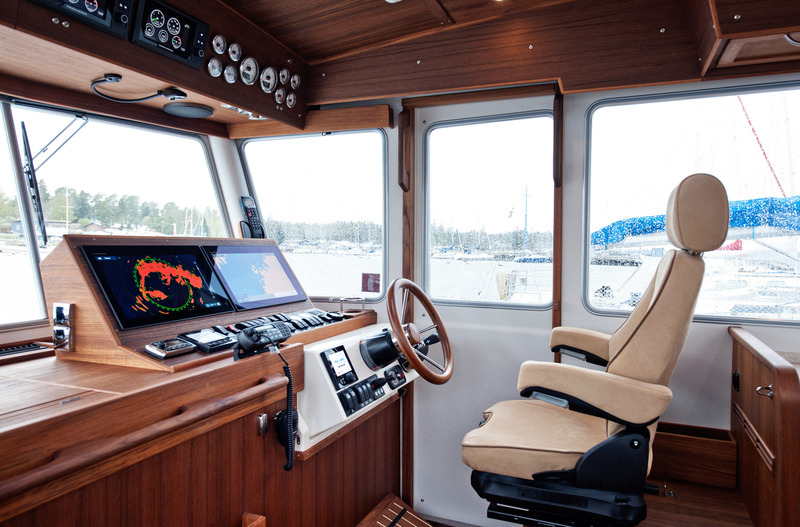 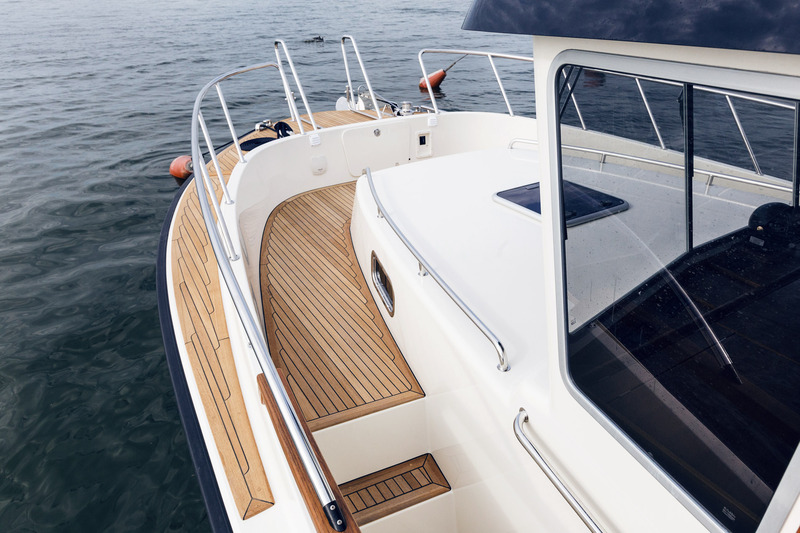 On test the new IPS-powered Targa 44 delivered 38 knots into a Force 6 with 11 people on board - more than enough to convince us that this was not only the clear winner of our Wheelhouse & Walkaround award but our favourite 4x4 by far." 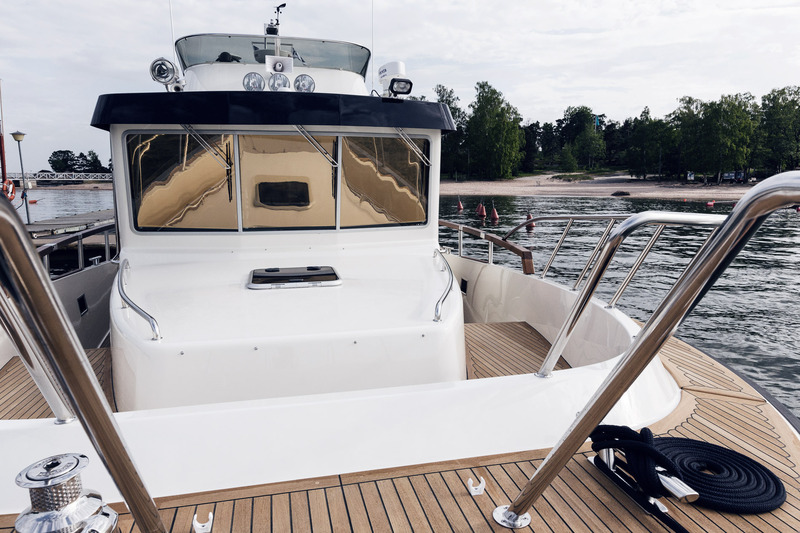 (2×370 HP) approx. 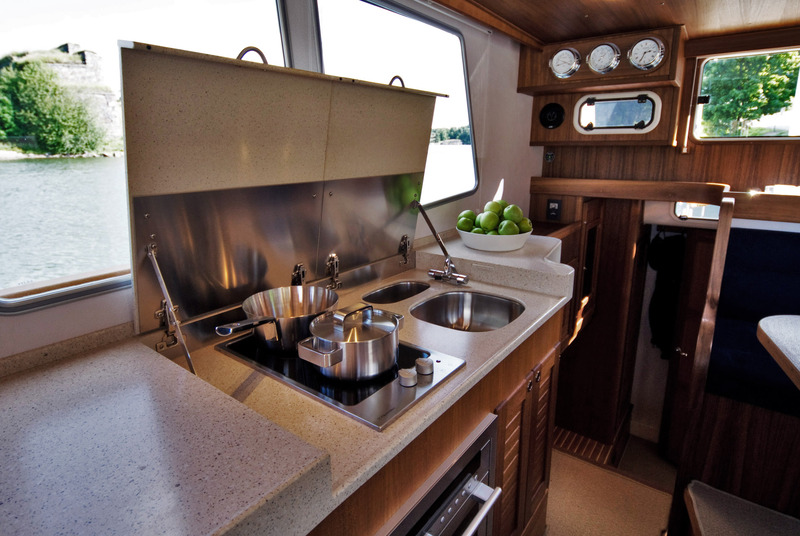 30 K.T. 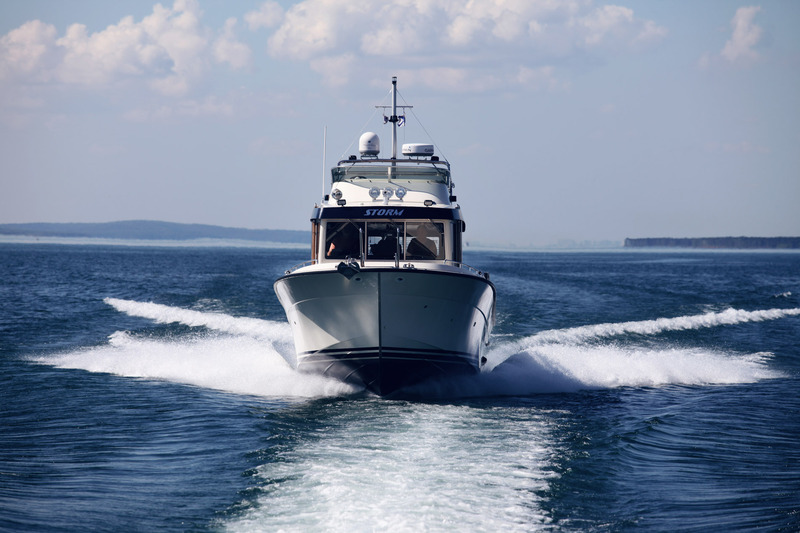 (2×370 HP) approx. 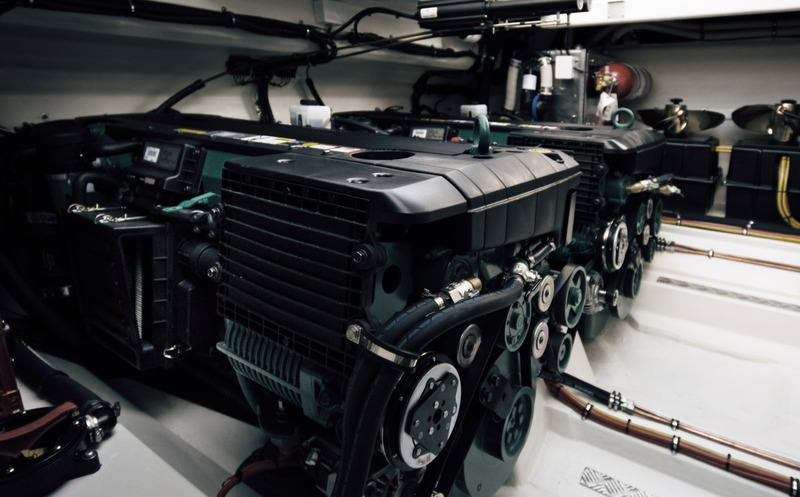 3,0 L/N.M. 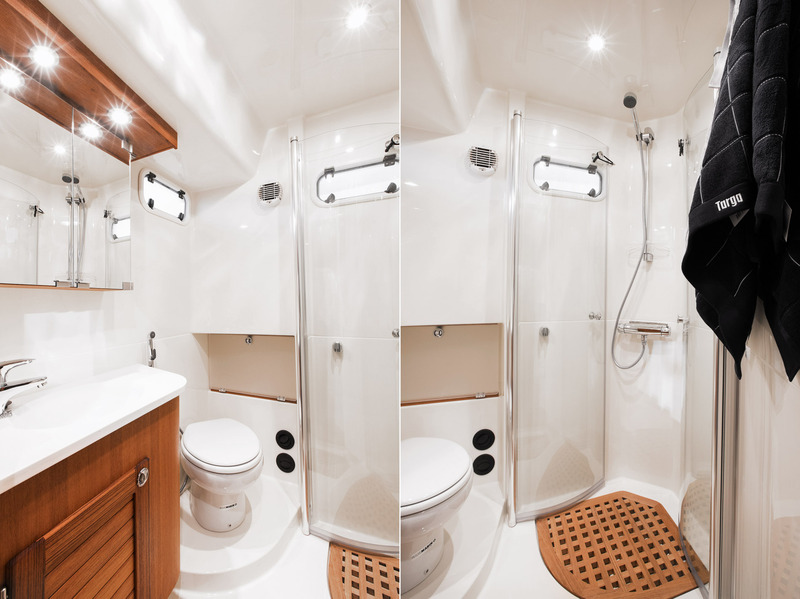 11 June 2014 – T44 aft door No1!